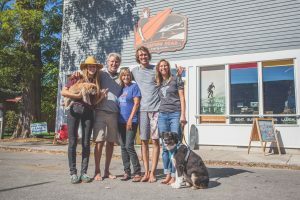 In the summer of 2004, we went out on a limb and opened a freshwater surf shop in Northern Michigan. 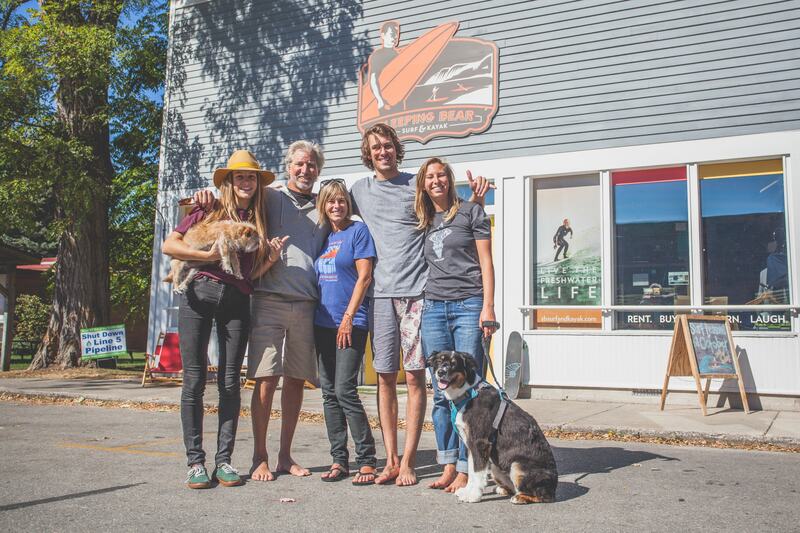 Sleeping Bear Surf & Kayak has become much more than just a surf shop packed with the latest, greatest gear and apparel; it’s a place that has built a solid and growing surf community. We have seen young kids come in to buy their first skimboard and now, years later, they’re fully immersed in surf lifestyle. In 2007, we introduced stand-up paddling to the midwest years before it became the popular and mainstream sport that it is today. We continue to seek out new freshwater activities and gear so that we can share even more stoke. If there’s something that you’ve been interested in checking out or would like to see us carry, come in and talk to us – we love to hear from our customers! We’re excited about what we do and want to share it with everyone who steps into our shop. You’ll always be greeted with a smile and friendly, knowledgeable service… and probably a Skrocki – as we have been family owned and operated since day one! Whether it’s surf, SUP, kayak, skim, longboards, bikes or gigantic inflatable SUPS, we are all about promoting free-ride fun for the entire family. Stop in today and check out how you, too, can Live the Freshwater Life!